New years eve is such a fun time for our family. 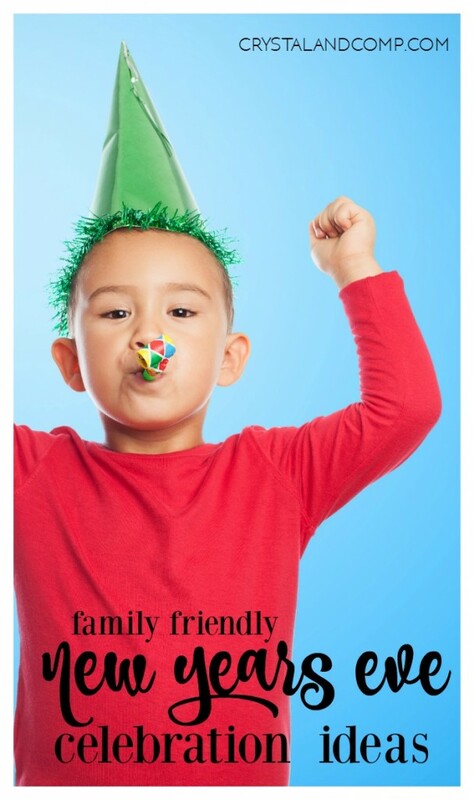 We always stay together as a family and celebrate… kids and all. That is why it’s super important to us, that we make it family friendly with them in mind! 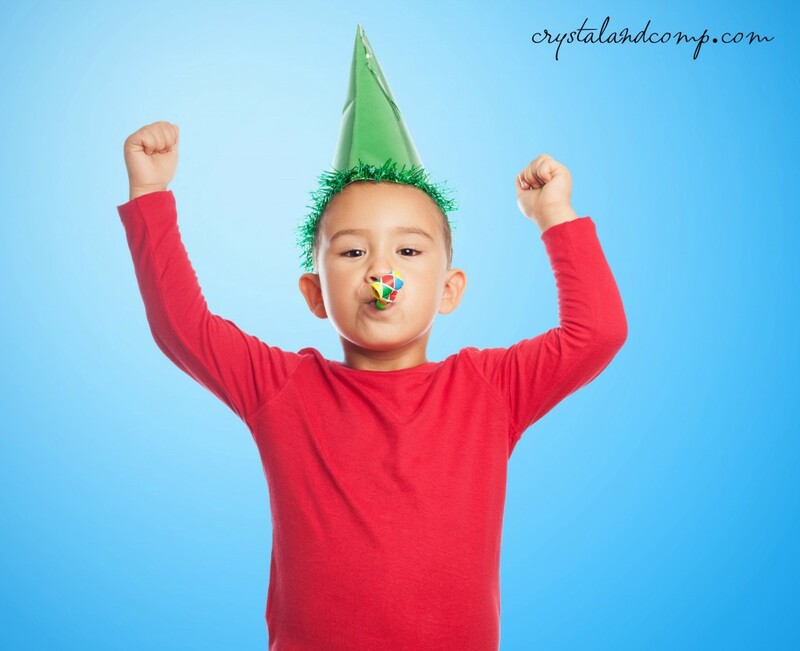 Here is one of our favorite new years eve party ideas for kids! 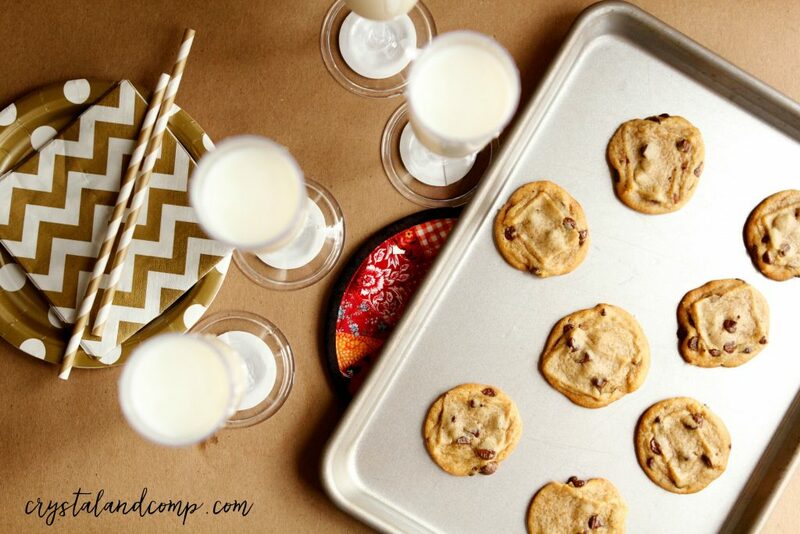 You’re going to love how easy this is and the kids think it is awesome!! 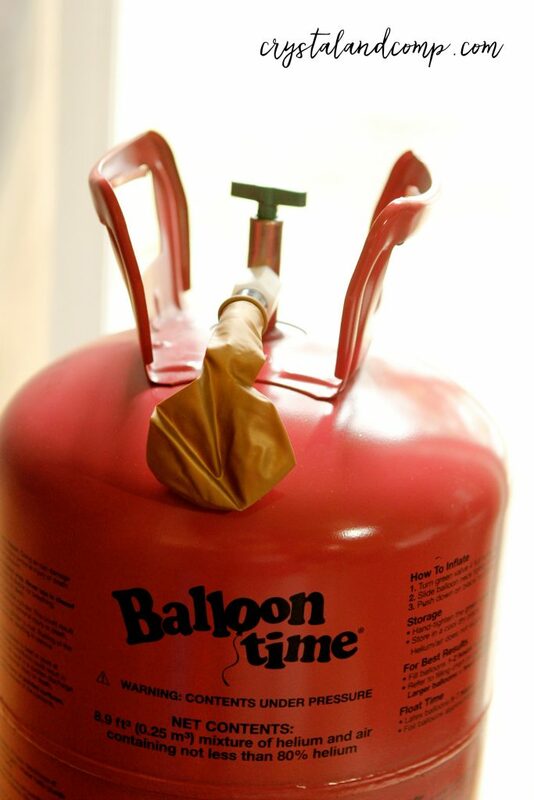 Use the Balloon Time helium tank to add helium to each of the 7 balloons. I grabbed the 252 L bottle and it will air up 27-30 9 inch latex balloons. The helium will float for 5-7 hours, easy. I can save this tank and use the rest of the helium for one of the kids upcoming birthday parties!! Once you blow up each balloon, add the provided ribbon to it. On each balloon, put a time. 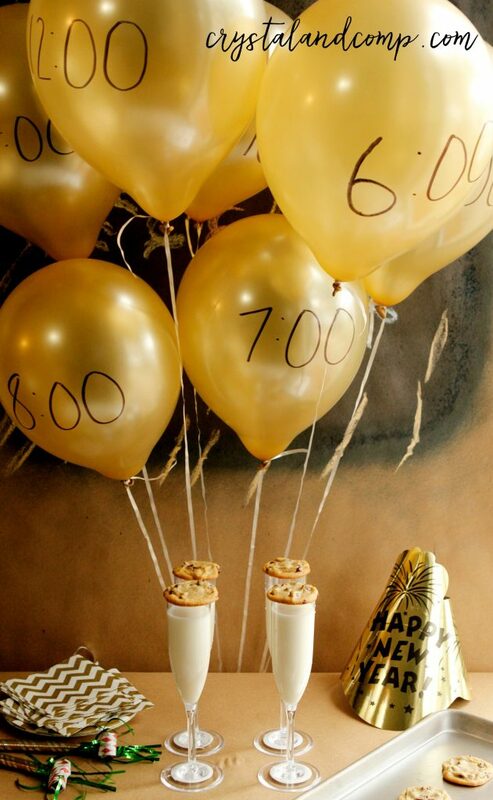 One balloon says 6:00, one says 7:00, etc., until you get to 12:00 (midnight). 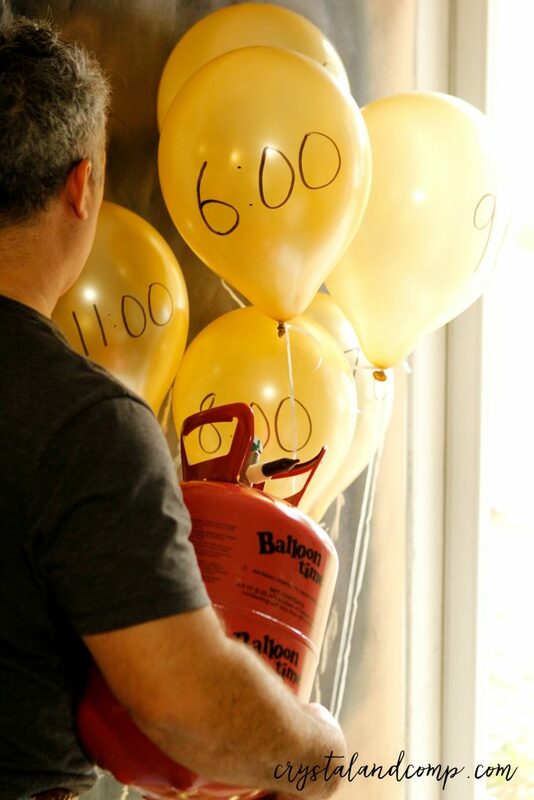 Then, tie the balloons to the balloon weight so they will stay put on a table while you wait for the clock to change. In the meantime, bake some cookies. Fill the champagne flutes with milk. Set the table with the balloons, milk, cookies, party hats, napkins, etc. As each hour comes to pass, let one child pop that balloon. So at 6:00 pm, pick a child to pop the 6:00 balloon. Continue as each hour comes and goes. The kids will have a blast. Let them be a part of the celebration. 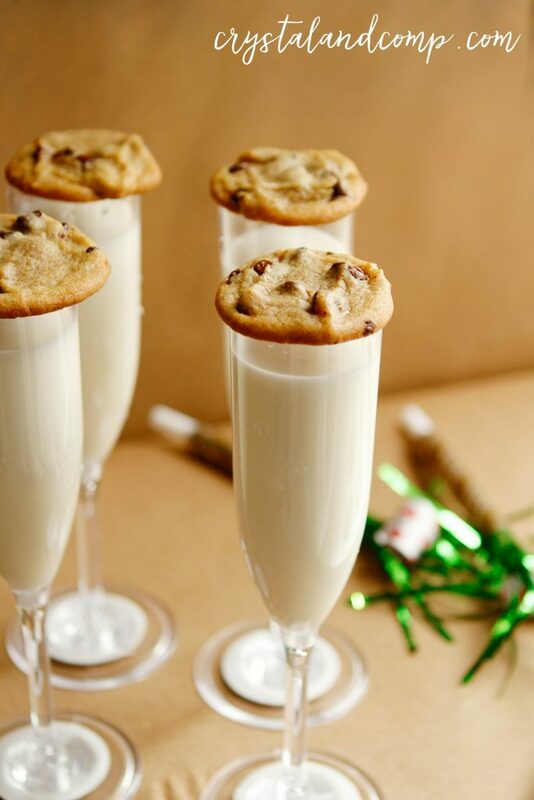 While waiting for the clock to change to the next hour, enjoy milk and cookies together. Talk about resolutions and goals for the new year. Talk about ways the family will grow in the new year. I promise this will be a memory your kids will remember forever.